Here you can GSM Flasher Tool for your PC. GSM Flasher is a powerful tool which you can use to Remove the FRP of any Android smartphone. 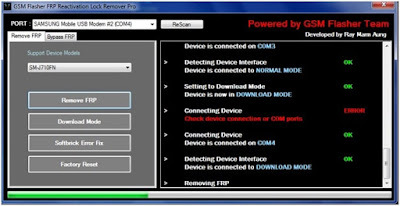 The tool allows you to remove the FRP of your mobile phone device. The GSM Flasher ADB will support Samsung, Oppo, HTC, LG, Micromax etc. This tool is working fully with your phone. The tool is tested by the developers and they agree with this. In the phones who are based on Android OS, the ABD command is the most useful commend it allow the device to communicate all the function properly. Like if you are going to install any app on your phone so you have to allow the allow the unknown sources option from the setting. And like this, if you are using your phone to communicate with any other device so you have to allow the ABD option to communicate properly with any other device. 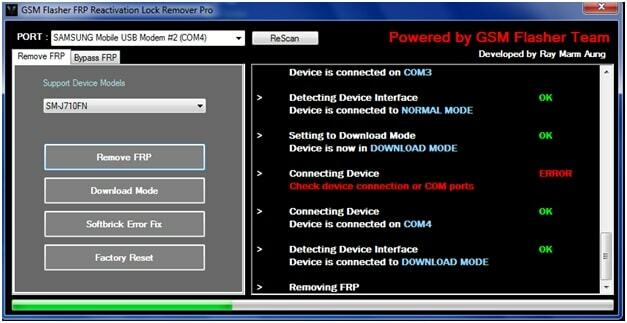 If your phone is locked with the FRP so you have to first install any FRP remover tool on your PC to remove it. If your phones ADB mode is disabled so you are unable to connect your phone to the software. But in GSM Flasher ABD Bypass Tool it automatically enables the ADB mode from your device and you can successfully able to remove the FRP from your Android smartphone. GSM Flasher ADB Bypass Tool is one of the best Android mobile tools which helps you to easily unlock your Android-based mobile phones. It batters works with all operating systems. The tool also allows you to many other tasks like you can easily unlock, reset and format your phone. So just get The GSF Flasher ADB (FRP Remover Tool) free for your PC from the given download link below. 0 Response to "GSM Flasher Tool 2018 Latest Free Download"